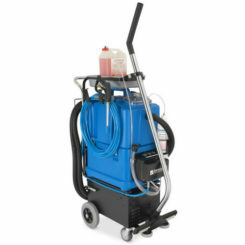 The Powertec30 Is a machines designed for amazing cleaning and sanitizing results with regards to small and middle sized restrooms, in areas open to the public. 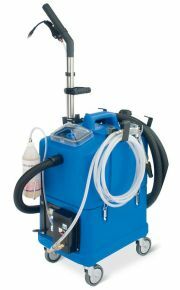 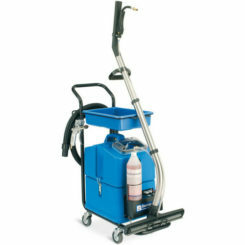 This machine combines spraying of chemical solution, rining and vacuuming into one. 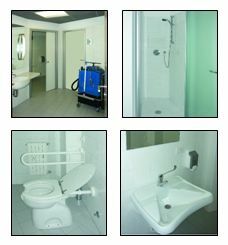 With the powertec30 restrooms can be completely cleaned, sanitized and left perfumed to dry in a short time, making the cleaning operations more effective and pleasant. 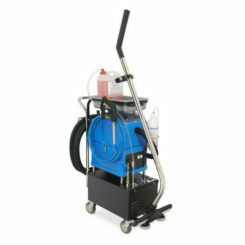 Use of the machine is immediate and does not rquire any training for the operator, small and light it can be easily stored or carried from place to place.